Semi-Classical songs had always played a major role in career framework of SJ. It was “Singaravelane Deva” which gave a good boost during initial days of her career. She got to sing several such songs through out her career and most of the directors attempted raga based tunes in her vocals. Both Carnatic and Hidusthani tunes were sung by her with a cinematic touch. 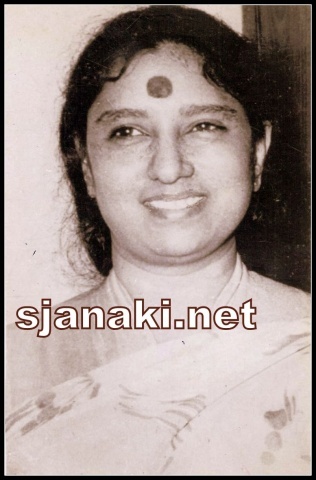 Though not trained, she rendered compositions of Thygarajaswamy, MuthuSwamy Deekshithar, Syama Sasthri, Annamacharya, Purandara Dasaru, Meera bhai, Surdas, Kabeerdas etc.. in multiple private albums. Keeping her private albums aside, Movie Songs like Singaravelane Deva (Tamil), Samajavara gamana(Telugu), Bhuvaneswariya (Kannada), Aa Nimishathinthe(Malayalam), Charana Kamal Bonde(Oriya), Prabhu more avgun chith na dharo(Hindi) really stood test of time and remained evergreen. When asked about which was a tough task for her among all classical songs, she singled out “Siva Siva ennada”(Kannada) and mentioned that every one expected her to win a National Award that year for this song but she won it for famous “Sendhoora Poove”. This Youtube playlist is a compilation of hand picked semi-classical solos and duets (with Legendary singers like BMK,TMS,Ghantasala,KJY,SPB) across different languages.